Statutory Instrument No. 346 of 2008, Wildlife (Wild Mammals) (Open Seasons) (Amendment) (No. 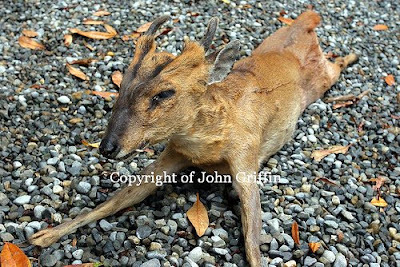 2) Order, 2008, signed on August 27th 2008 and published on September 2nd 2008, provides for an Open Season for Muntjac deer in Ireland. There is now a 12-month Open Season for Muntjac, running from the 1st day of September in each year and ending on the 31st day of August in the following year. The Order follows several reported sightings of Muntjac in the Wicklow/Wexford area and at least one verified kill. National Parks & Wildlife Service and others are concerned that the species could spread and come to represent a serious threat to agricultural, forestry and other environmental interests, as has occurred in Britain. Recognition: Small, stocky, russet brown in summer, grey brown in winter. Long pedicles, short antlers and visible upper canines in bucks. Very large facial glands below the eyes. Ginger forehead with pronounced black lines running to the pedicles in bucks, dark U shape in does. Haunches higher than withers, giving a hunched appearance. Fairly wide tail, which is held erect when disturbed. Adult size: Bucks (males): 10 to 18kg, 44 to 52cm at shoulder. Does (females): 9 to 16kg, 43 to 52cm at shoulder. Antlers: Short (up to 10cm) but on long pedicles. Usually unbranched but brow tine occasionally found in old bucks. Life span: Bucks: up to 16 years. Does: up to 19 years, but these are exceptional. Food & feeding: Selective feeders that take small morsels from nutritious plants. Diet varies according to region and availability but may include herbs, brambles, ivy, heather, bilberry and coppice shoots. Habitat: Deciduous or coniferous forests, preferably with a diverse understorey. Also found in scrub and over-grown gardens in urban areas. Origins & history: Muntjac were first introduced from China to Woburn Park in Bedfordshire, England in the early 20th century. Deliberate releases and escapes from Woburn, Northamptonshire and Warwickshire lead to feral populations establishing. Their rapid spread across England and Wales has been facilitated by deliberate movement and release by humans. Social organisation: Generally solitary or found in pairs (doe with kid or buck with doe) although pair-bonding does not occur. Bucks defend small exclusive territories against other bucks whereas does’ territories overlap with each other and with several bucks. 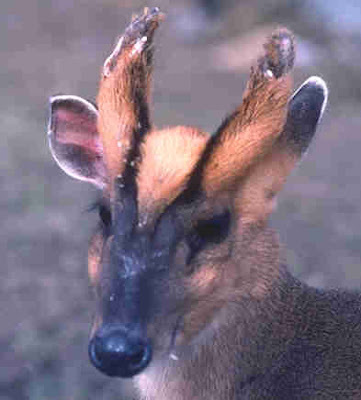 Vocalisation: A common name for muntjac is “barking deer” resulting from the repeated, loud bark given under a number of circumstances. An alarmed muntjac may scream whereas maternal does and kids squeak. The rut: In contrast to all other species of deer in Britain and Ireland, muntjac do not have a defined breeding season (rut). Instead, they breed all year round and the does can conceive again within days of giving birth. Bucks may fight for access to does but remain unusually tolerant of subordinate males within their vicinity. Breeding: Muntjac are capable of breeding at 8 months old and breed all year round. After a gestation period of 7 months the doe gives birth to a single kid and is ready to mate again within a few days. Activity: Muntjac are active throughout the 24-hour period but make more use of open spaces during the hours of darkness in populations experiencing frequent disturbance. Peak times of activity are at dawn and dusk. After feeding long periods are spent “lying up”, which is where the deer lies down to ruminate. 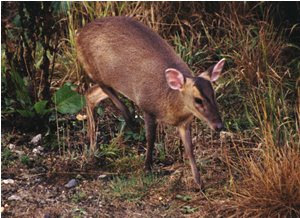 Economic factors: Unlike other species of deer in Britain, muntjac do not cause significant damage to agricultural or timber crops. However, high muntjac densities may result in the prevention of coppice regeneration and the loss of some plants of conservation importance, such as primulas. Muntjac trophy hunting is only recently becoming popular and so muntjac stalking has little tradition on country and forest estates. The most significant direct economic impact that muntjac have on human interests is in collisions with cars. However, this has welfare as well as economic implications. Below: Muntjac shot near Avoca, Co. Wicklow in 2007. © Photograph by John Griffin. This entry was posted in Uncategorized on September 18, 2008 by Liam Nolan. The Wild Deer Association of Ireland supported by Coillte Teoranta, the National Parks & Wildlife Service, the British Deer Society, Deer Alliance and Countryside Alliance Ireland have launched a campaign highlighting the message that “The unauthorised taking of deer (poaching) is illegal & dangerous!”. According to the WDAI, poaching has reached epidemic levels in some areas through shooting at night with spotlights (lamping), shooting outside the designated hunting seasons, snaring or trapping and in some cases coursing deer with dogs. WDAI have introduced their campaign with a dramatic and eye-catching poster which illustrates their point very strongly and which sets out advice to anyone coming across a possible poaching incident. In a statement launching their csmpaign, WDAI say that while the word “poaching” has been for many generations associated with the illegal taking of pheasant or salmon, in terms of deer it can mean unnecessary injury or suffering to the animal, or even worse, death or injury to a person, as this illegal and dangerous activity usually involves the incorrect use of firearms, used in unsafe conditions, with little regard for the safety of others.  According to the Wild Deer Association of Ireland, poaching of deer has been on the increase in Ireland in recent years and the Association, through its nationwide membership and with the support of other organisations, aims to raise awareness and to inform members of the public of what should be done if a suspected illegal or unauthorised taking of deer is encountered. “Deer must be culled but only under controlled conditions, to restrict damage to forestry and farmland where over-population occurs. Culling should always be carried out by a certified deerstalker such as persons certified under the Deer Alliance Hunter Competence Assessment Programme (HCAP), which promotes high standards and best practice, with adequate insurance cover such as that provided by Countryside Alliance Ireland”. This entry was posted in Uncategorized on September 16, 2008 by Liam Nolan.